How did you get into tattoos? Were they present in your family? The only person who was tattooed in my family was my uncle, he had a devil on his arm and the Manchester United badge on his chest, these marks always intrigued, although they weren't beautiful or well done, they were fascinating. When my friends all started getting tattooed underage at 16, I didn’t join in. I had no interest in Chinese symbols, weird little tribal scribbles, or anything on the wall at the only tattoo shop in the small market town I grew up in. But I often thought about body modification, especially tattoos. I doodled tattoo ideas in notebooks, and often thought of markings I’d like to wear on my skin. I am not sure why, I guess it is human nature, a want to change or modify our bodies in a way that is within our control. However for a long time, I just didn't realise what was possible, I didn't know that tattoo artists could create such beautiful works of art on the skin, that was until I went to my first ever tattoo convention and my eyes were opened... I came away from that first convention without a tattoo, but with a desire to become heavily tattooed. My tattoos are exactly that, a collection. They are all by different artists and as yet they don't quite all fit together. They reflect my tastes, some have meaning and some don't. I don't want to say anything cheesy like they tell a story of my life, but you can see a certain progression in them – in my choose of placement and size, they certainly get more visible and large. I love collecting from different artists, in the same way that I collect art from different artists for the walls of my home. Absolutely. Tattoos are the ultimate way to take control of your body. I have struggled with body confidence over the years, and it is only over the past couple of years, that I have truly started to feel comfortable in my own skin. I love the way tattoos look when I wear certain outfits and I love that they are the first thing I see when I look in the mirror. I see them before I see any of my perceived imperfections. Can you tell me how Things&Ink came about? Things&Ink had been a dream of mine for years, I even created a prototype of a 'women's tattoo magazine' for my MA in publishing. 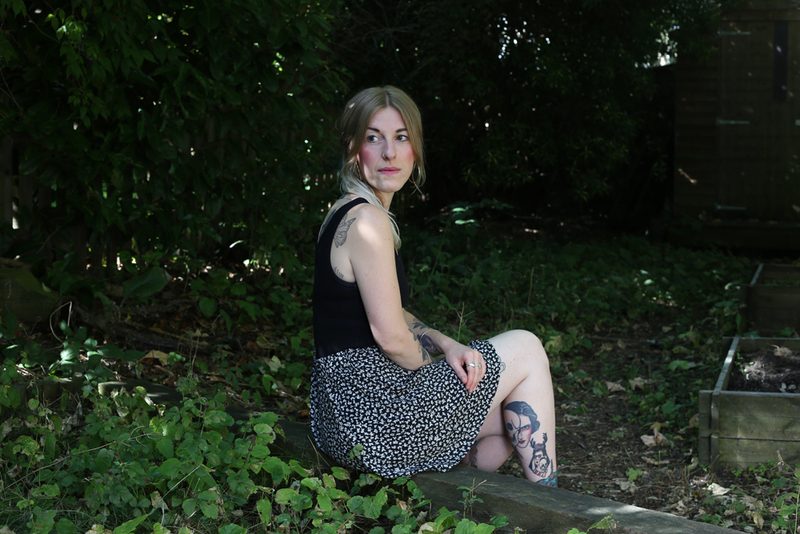 Not only had I become disillusioned with tattoo magazines (they cater for men and always have an alt model on the cover posing provocatively), but also magazines in general – especially women's lifestyle. They all seemed to follow such a similar format, and regurgitate the same articles, over and over again. Heavily photoshopped covers, formulaic content, uninspiring photo shoots... I wanted to do something different, create something aspirational, yes, but also something with more depth and meaning. 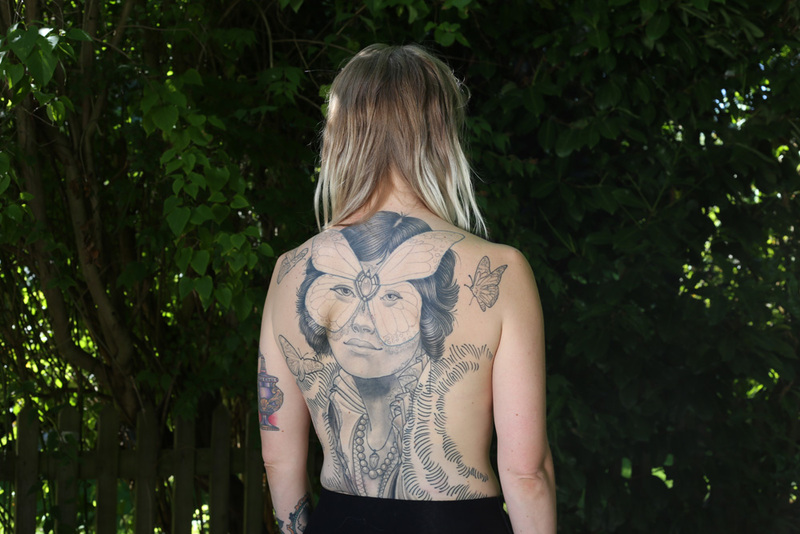 I wanted to show tattoos as they should be, against their rich cultural history, and also as they are viewed – or should be viewed – today, as art. 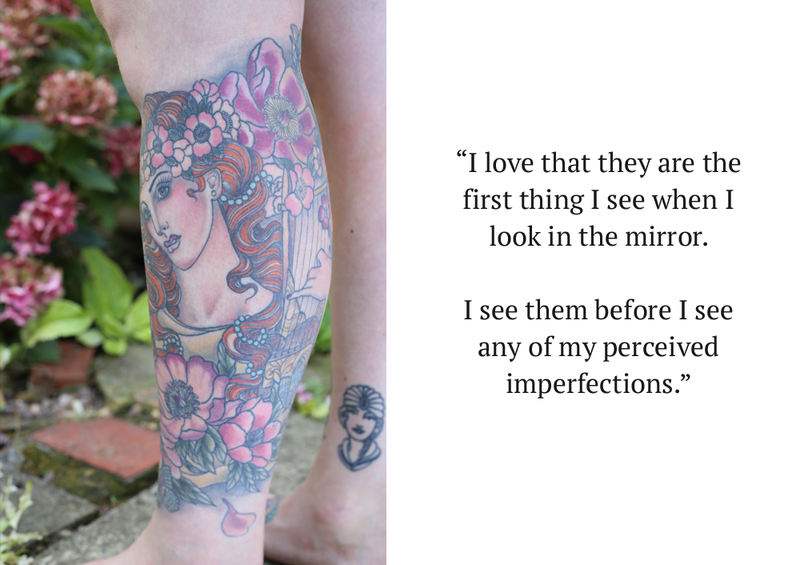 I want to showcase the fact that there’s a huge variety of people who choose to get tattooed, and that we’re not all ‘alternative’ or fit into certain categories. Ultimately, Things&Ink is a luxurious read that provides inspiration, not just for tattoos, but for fashion, beauty and life in general. 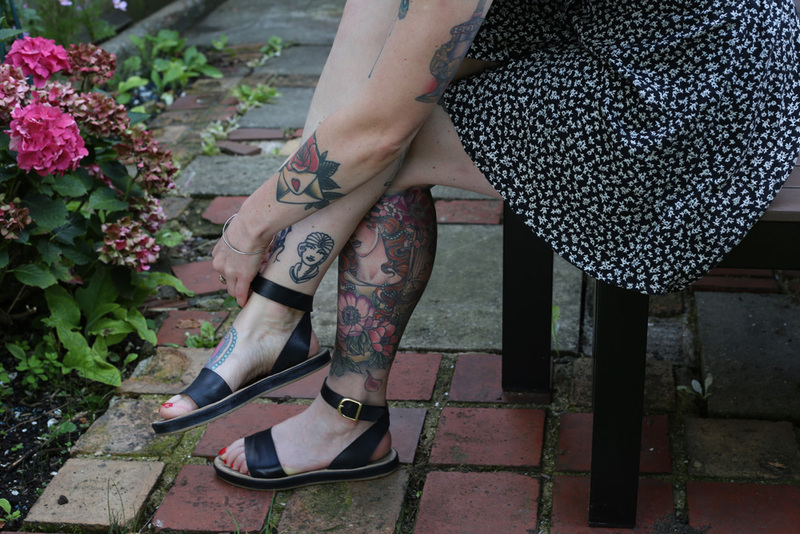 What's been the most surprising thing you've discovered about tattoo culture since starting the magazine? Before I started getting tattooed, I was quite unaware of the whole culture surrounding it, it was never something I was really exposed to while growing up and it felt quite 'other' to me. The magazines and websites I read didn't feel very welcoming. 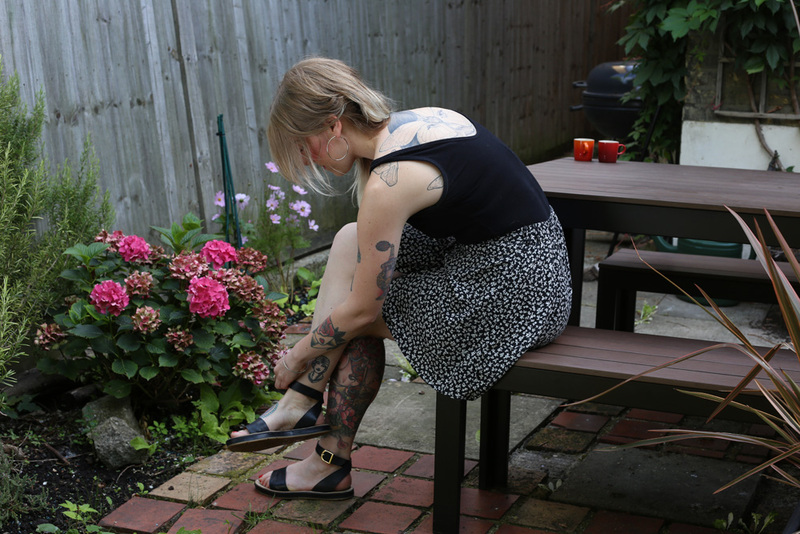 But once I started getting tattooed, I felt like I was welcomed into a wonderful world. Especially going to tattoo conventions, when you're there, you feel at home. You're surround by people who are all unified by one passion, no matter what background they are from. 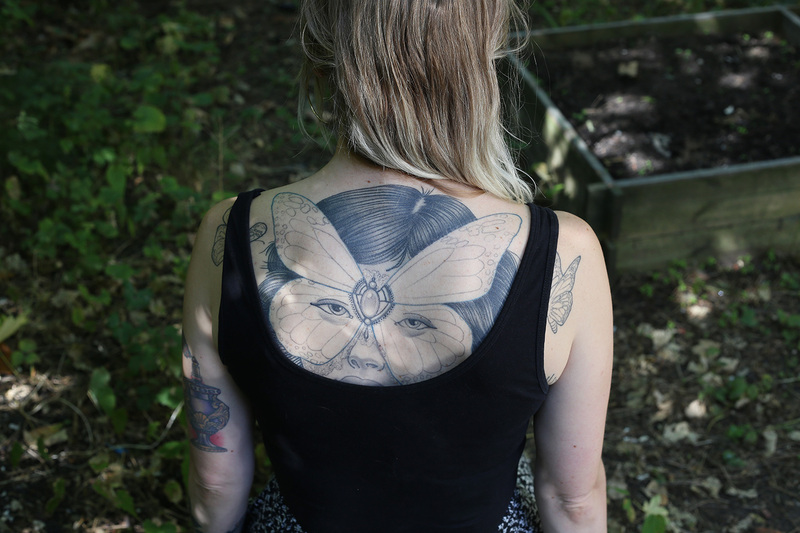 You've been interviewed by the media a fair amount on the subject of women with tattoos. What tends to be the position you're met with? Do you think views have changed in the past few years? 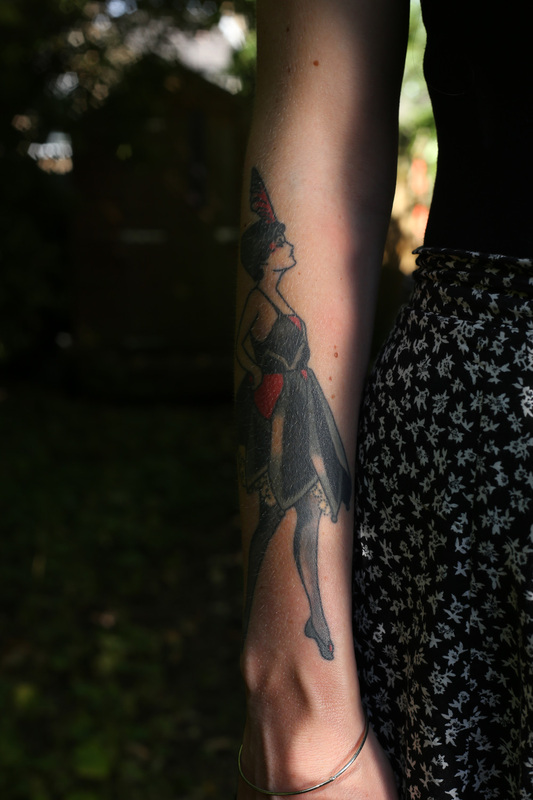 Over the last 100 years or so a stigma has developed against tattooed women – that they're bad girls or sluts, this is just as false as the myth that only sailors and criminals get tattooed. However I think this stigma is slowly dissipating and women are now challenging traditional standards of beauty and are not afraid to get heavily covered. Adorning themselves in designs of their choosing. When I was interviewed on Newsnight by Jeremey Paxman, I was the pro voice for tattoos against Rachel Johnson's anti (this was a couple of years ago now). When I first met Rachel off air in the green room, she said she was surprised that my tattoos were so beautiful. I get this reaction a lot. I think this is because tattoos are often portrayed in a negative light in the media. And people often don't think that tattoos and beauty can go hand in hand. Do you think men with tattoos are viewed differently by society? If so, why do you think that is? Yes I do think men are viewed differently. I think this has changed a lot over the years, but is still something that is changing. This is a hard question for me to answer, because I am surrounded by open-minded people, but I often hear strangers say that it's OK for men to have tattoos on their arms and not women. I think there is a pre-conceived idea in the mainstream public consciousness that being heavily covered in tattoos is somehow masculine. I am sure many heavily tattooed women have had someone ask, what are you doing to do on your wedding day? There's all sorts of problems with this questions. For one thing, it assumes that you wanted to get married, and it also assumes that you in some way want to alter the way you look for that day. This is due to the fact that somehow women are supposed to be untainted, unmarked or virginal. This same view definitely doesn't exist for men, I don't think anyone would ask a man with tattoos what they are going to do with them when they get married. Your mum recently got tattooed for the first time and I was wondering what that felt like for you? Is it something that made you feel more connected to her? 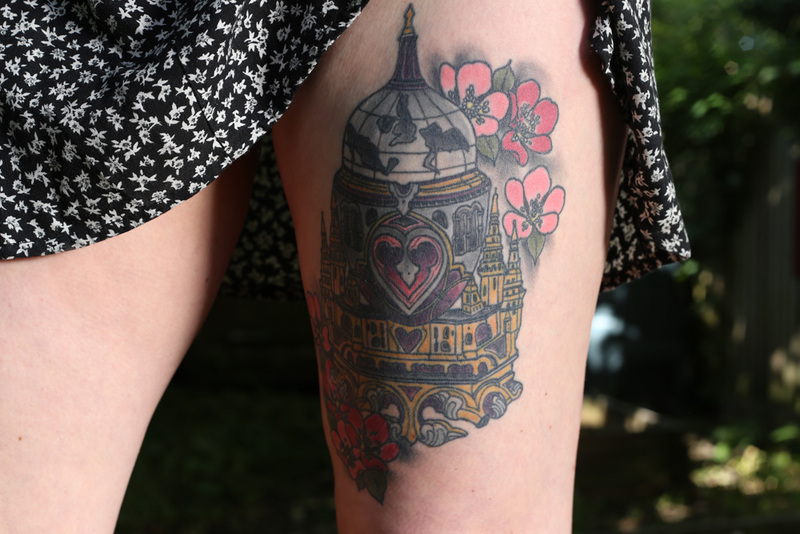 My mum's tattoo was actually a present from my sister and I for her 60th birthday. I accompanied her to the appointment and I actually think I was more nervous about the experience than she was. I was worried it was hurting her and that she wouldn't like the end result. I didn't want her to do it just because I am tattooed. She loved the experience, though, and she is in love with the end result. 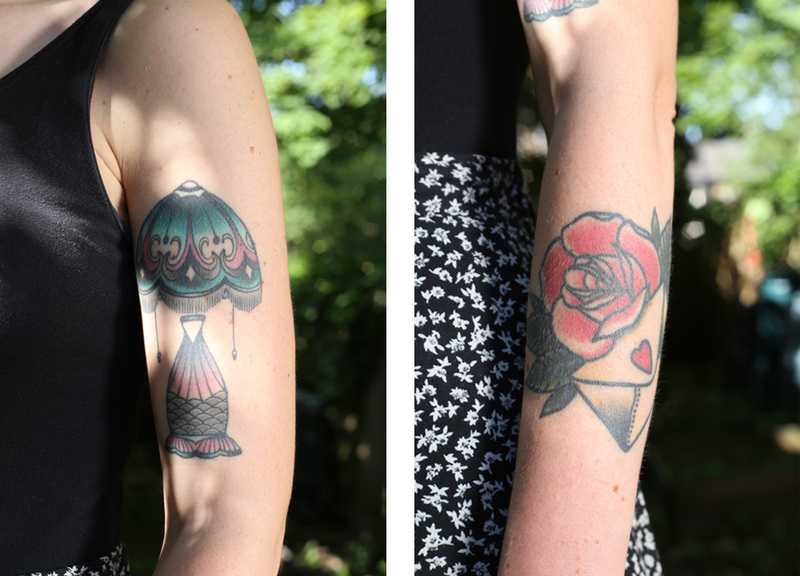 Her tattoo is of a Biba/Art Deco inspired lady, and it sits on her chest, close to her heart. I love the fact that it is a memory for my mum and it allowed her to experience for herself the culture in which I choose to surround myself. She also loves hiding it away, and then it sneakily poking out, which causes some surprise in the small village she lives in.